Home » Blog » What is Constructive Dismissal? 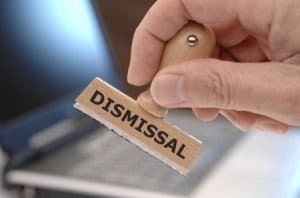 One of the most important aspects of making an unfair dismissal claim is that an employee needs to have been dismissed from their employment, within the legal definition. Problems that employment lawyers see often arise with this where an employee has not been traditionally fired, but has instead resigned. There are circumstances where an employee’s resignation can amount to what is known as constructive dismissal. Constructive dismissal is when an employee has no real choice but to resign, and is in effect forced to resign by their employer. It is important that the employee is able to prove that they did not resign voluntarily. If an employee resigns in a voluntary manner, then they will not be able to argue constructive dismissal, and will consequently not be able to make a claim for unfair dismissal. It is usually important that the employee’s resignation occur in close proximity to the conduct of the employer that they allege forced them to resign. If the resignation occurs too late down the track, it can be inferred that the employee accepted the conditions that the employer imposed, and that their resignation was not actually forced by those conditions. – Where the employer fails to provide a safe work environment for employees. – Where the employer makes it impossible for the employee to perform the obligations of their position. – Where the employer acts in a way that amounts to a repudiation of the employee’s employment contract. This can include taking actions such as extreme pay-cuts, demoting the employee, dramatically changing their working hours or relocating the employee. A clear example of constructive dismissal is found in the case of Hobbes v Achilleus Taxation Pty Ltd ATF (the Achilleus Taxation Trust). Here, an employee resigned after he was paid under half of what he was owed over a period of 4 months. It was decided that it was clearly a situation of forced resignation due to the conduct of the employer, and therefore instead amounted to a dismissal by the employer. A situation where constructive dismissal was found not to exist was in the case of Bruce v Fingal Glen Pty Ltd (in liq). This concerned an employee who resigned after the employer repeatedly paid wages late, and failed to make any superannuation contributions. The payment of wages were usually 1 to 2 days late, but on occasion were paid even later. The Commission found that while the employer’s conduct was improper, the employee was not in a situation where they were left with no other option that to resign. Therefore, the employee could not argue constructive dismissal. There are other special circumstances where an employee’s resignation can be deemed constructive dismissal because of the employee’s state of mind at the time. In Marks v Melbourne Health, an employee wrote to their employer indicating an intention to resign in the future. The letter was sent at a time when the employee was distressed and suffering from depression and anxiety. It was therefore held not to be an effective notice of resignation. Because of this, the employer’s acceptance of the notice of resignation was held to be a termination of employment at the employer’s initiative. Employees should be aware of the distinction between a normal resignation and constructive dismissal. They should note that they will only be able to argue constructive dismissal if their employers conduct left them with no other option but to resign. Please contact one of our employment lawyers in Perth should you have any queries.